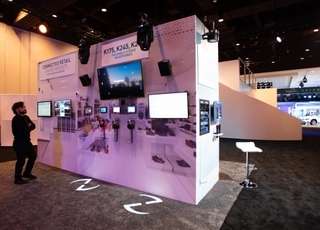 InfoComm (Booth #N1105) – LAS VEGAS – HARMAN Professional Solutions, the global leader in networked audio, video, lighting and control systems, today announced the AMX VPX Series Presentation Switchers, a family of multi-format presentation switchers that target small conference rooms and flipped classrooms. 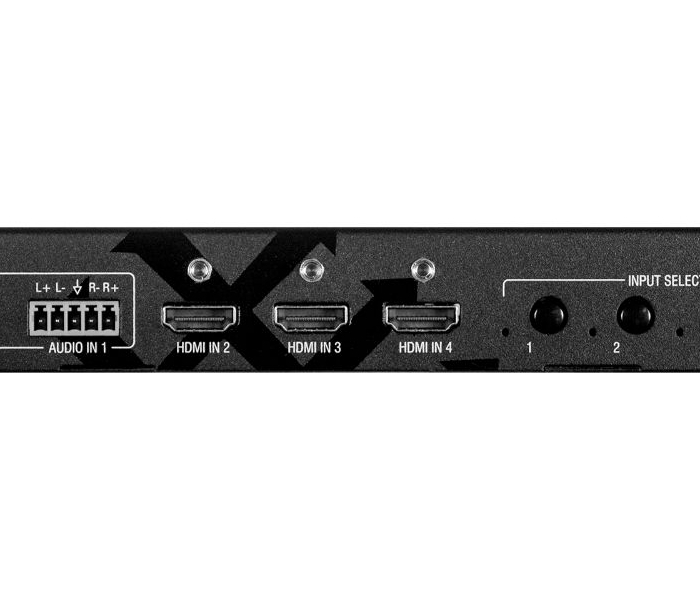 The VPX Series switchers support resolutions up to 4K60 4:4:4 and offer HDCP 2.2 compatibility to support the most current sources and displays. 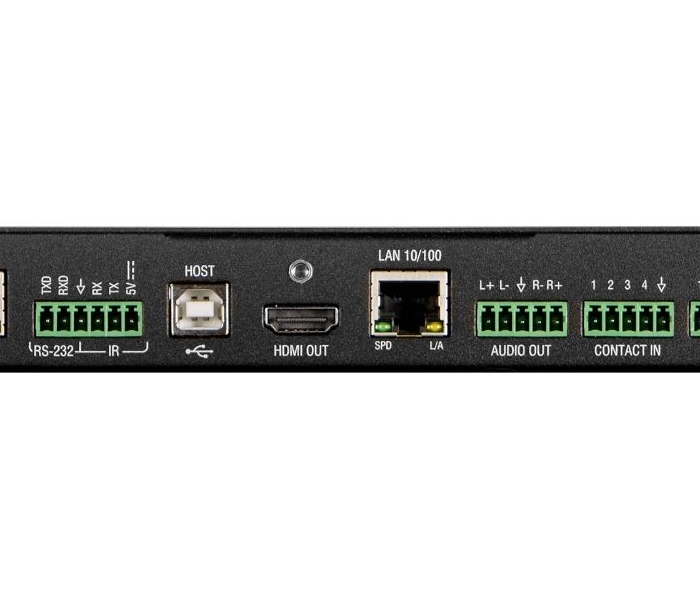 AMX VPX-1401 – The VPX-1401 is 4x1 switcher with 3 HDMI inputs and 1 VGA input. 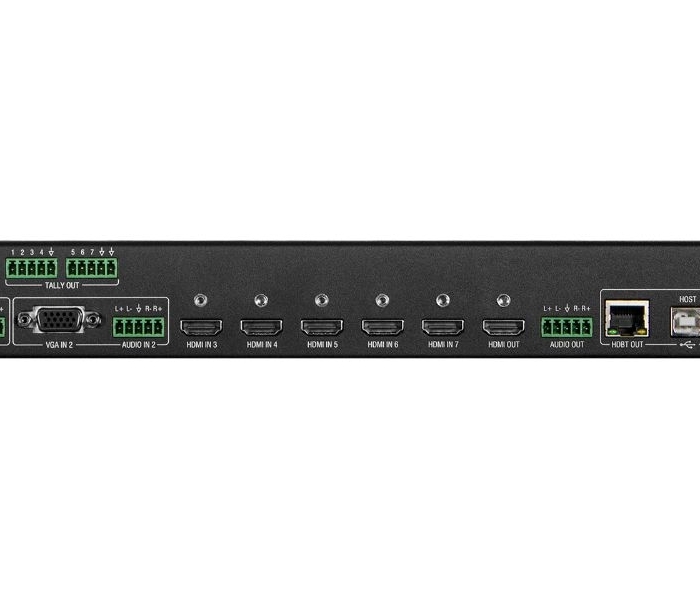 AMX VPX-1701 – The VPX-1701 is a 7x1 switcher that includes 5 HDMI inputs and 2 VGA inputs. To simplify system design, VPX Series switchers include built-in scaling, providing automatic adjustment of video to match the ideal resolution of the display, with support for resolutions up to 4K60 4:4:4. 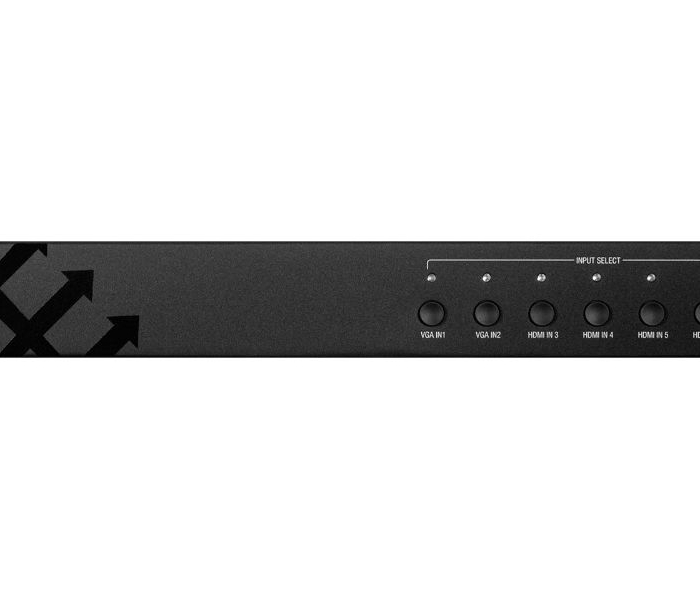 Because the VPX Series includes a mirrored HDBaseT output in addition to HDMI, the switcher can either connect directly to a standard HDBaseT input on a display or an AMX DXLite receiver. 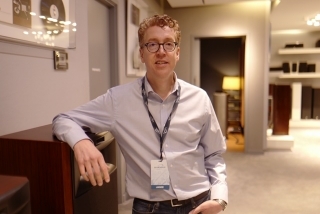 USB 2.0 distribution is also available over HDBaseT, allowing simplified connection to USB peripherals such as an AMX Acendo Vibe mounted near the display. There are a variety of options to control the VPX Series as well. Front panel controls are available, as well as contact closure for use with AMX MyTurn Source Selector Buttons. VPX Series switchers are also NetLinx Native, allowing simplified integration with AMX automation systems. 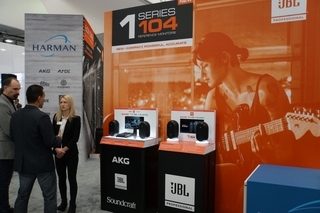 HARMAN is showing the AMX VPX Series in Booth #N1105 at InfoComm 2018. For further details, we invite you to visit: https://www.amx.com/en-US/product_families/vpx-series.